Audio is trickier. When you use the built-in microphone, it will be picking up a lot of environmental and background noise. This is especially true of laptops that are running too hot. 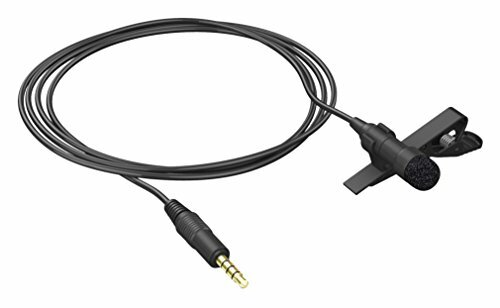 I have a Lavalier (lapel) Mic I use with my iPhone. A lapel mic is much better at picking up *just* my voice. It also means I can speak in a regular tone. When I'm recording video on my iPhone, the audio is captured from my lapel mic plugged into my headphone jack. When I'm recording video on my laptop, I record audio to my iPhone using the lapel mic and Apple's Voice Memos App. Then I add that audio file to my video file using iMovie for the Mac, and export the new video file. It makes a noticeable difference, and folks with hearing issues appreciate the clarity even more.